Posted by razasayed in programming. 3.) Restarted the apache service by going to Control Panel->Administrative Tools->Services. 4.) Went to “SQL Server Configuration Manager”. 5.) Under “SQL Server Network Configuration” clicked on “Protocols for SQLExpress”. That was it ! . I was now able to connect to SQL Server 2005 Express 🙂 . 1) Copy php_mssql.dll to apache\ext. 2) Make sure that in your php.ini file , extension=php_mssql.dll is uncommented. 3.1) Go to “SQl Server Configuration Manager”. 3.2) Under “SQL Server Network Configuration” click on “Protocols for SQLExpress”. 3.3) On the right hand side window, right click on TCP/IP , click on Properties. 3.5) The value of “TCP Dynamic ports” is the port number that SQL Server is listening on. I spent a hell lot of time figuring all this out, and i hope that this post saves you all that trouble. I was having the same problems. I was using IIS with PHP 5 and SQL Express 2005 though. Anyway, I followed your steps and got it working. In my case, I copied the dll file to my PHP folder, overwriting the current copy and restarted the IIS. It worked.. like a charm! Thanks! Thanks Raza, as with William I experienced the same problem after upgrading to SQL Express 2005 with PHP on IIS. Worked a treat!! A point of caution, if you search mozilla for ntwdblib.dll, make sure you download the first of the two files displayed, unless you like your date output in what appear to be French. Thanks for your explanation and tip – helped me a lot. A most helpful blog…..thank you kindly for the insight. I was just trying to do the same thing and just simply used an ODBC connection. Many thanks, saved me a lot of time – I remembered having to do this years ago for SQL Server 2000 but it all looks a bit different in 2005! Thanks. But isn’t ntwdblib.dll depricated? did you use the Microsoft SQL Server Driver for PHP?? MSSQL error: Changed database context to ‘StarWatch’. Hello Guys, please help ,,. Estuve buscando esta información en muchos sitios y no me funcionaba, pero con este manual lo tengo funcionando perfectamente. Aquí pongo mi código para los que deseen complementar. Thanks for this nice help! – don’t forget that the port is required!, and it is described as TCP Dynamic Port in IP All section for sure. how can i connect to sql server using php on remote pc. 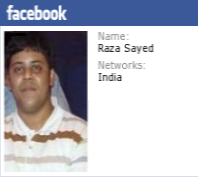 Hi, Raza i have an apache web server and php5 in linux PC and i want to connect to mssql server in another windows PC. Have you ever try that? If you ever try you will save my life. Thanks. a lot of Thanks for save me a lot of time!! but its not working for me, i have tried all the things given above and also from different references but i am getting the error says “PHP Fatal error: Call to undefined function mssql_connect()”. Please help…. Hello sir. I am going to design an application using php 5 and sql server 2008 express edition. sir i am facing a problem the functions mssql_connect() are not found and server is also not found messages are displayed. kindly give some solution. Hi, Actually, I have a SQL Server Express 2005. And It’s working with some aplication remotly. Now I install a web server with OS Centos (linux). But I can’t connect to DB. Somebody know how can I fix it? Thanks for the interesting things you have revealed in your article. announced, before the masses start calling on Friday, you produce a good link. By mailing them resources, educational products, free reviews, and forms, you become a great ally. This article has really peaked my interest. I’m going to book mark your website and keep checking for new details about once per week. I opted in for your Feed too. Bay, or Bid – Cactus. specially the ultimate section 🙂 I deal with such information much. THanks so much bro, and hope for you always in a good time. What i do not realize is in truth how you’re no longer really a lot more neatly-favored than you may be right now. comes to this matter, made me individually believe it from a lot of numerous angles. to do with Lady gaga! Your personal stuffs nice. Always handle it up! algorithm Apple Artificial Intelligence compiler debian dsl-502T firefox foss general gnu/linux google Hacks ide jabber java lenny Microsoft mtnl opendns open source programming python ruby tips triband VirtualBox virtualization wireless xmpp Yahoo!